Some of you might have realized something different on the Muse recently. You might have noticed that I've chosen to disable comments on a post by post basis. This was something that I wanted to do for a while now. 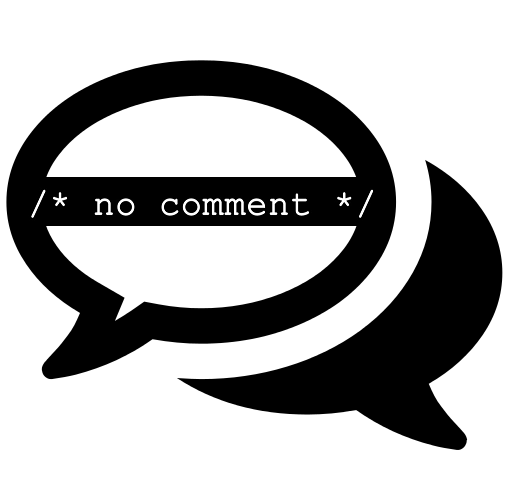 Disabling comments was always in the back of my head--I just didn't know when I would take the plunge. Also, I wanted to disable comments entirely, but decided that doing it on a post by post basis made more sense for me. I've been extremely busy lately and haven't had enough time to visit and comment on all of your great blogs like I used to. So one reason why I've disabled comments is because I don't want to feel the pressure of having to reply to comments. Don't get me wrong. I love receiving comments and I love visiting your blogs. But I simply don't have the time I used to have before. And I actually quite enjoy interacting with you via Twitter and Facebook. I don't find it to be a cop out or anything. Social commenting is more efficient because it's more immediate, which I truly appreciate. And as I'm sure each of you have experienced, some comments are just blah. No substance or anything. I'm not really a fan of that brand of commenting. If you couldn't ever imagine disabling comments, then that's perfectly OK. I think each blogger has to do what's right for them. This is my blog and it's what works for me at this time. I don't expect everyone to follow suit, or to agree or to understand. But I do appreciate those of you who have taken the time to chat with me on social. I honestly feel like it's not about where you comment. It's about maintaining blogger interaction. Interaction is what will keep blogs relevant, no matter which medium it comes from. And that's all I gotta say about that!